Hey there! I’m Lisa, and I’m a mother of three kids ages 5 and under. Reading Richard Louv’s book Last Child in the Woods opened my eyes (wide!) 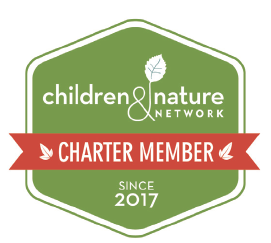 regarding the incredible benefits of nature exposure for children and inspired me to create this opportunity for families throughout Kansas City. Let’s meet each other, explore the city’s natural places, and help our children to experience the wonders of the natural world! I plan to keep this very informal – we’ll designate a meeting time and location, and families will be welcome to come and go as they please. There’s no cost, but I will ask that you check in, sign a waiver and (if possible) a photo release. Be sure to check the What to Bring page for some essentials. Feel free to bring your extended family (grandparents, cousins, siblings, etc.) and friends, whether they live in Kansas City or are just visiting for the weekend. The more the merrier! Please note: Parents or guardians are required to stay with their children at all times.